A new title to add to our highly successful Companion series. 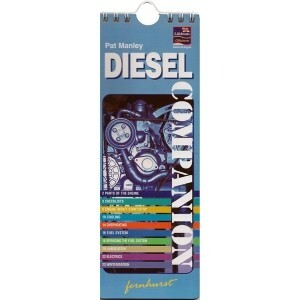 It has all the information needed to ensure that diesel boat engines stay in tip-top condition. With clear uncomplicated text, colour photographs and diagrams it simplifies a complicated subject in a new and exciting format–spiral-bound splashproof cards. An essential tool for all boat owners. Includes : checklists, troubleshooting, cooling, overheating, fuel, lubrication, electrics, servicing, winterisation.